Over the past few weeks, German automaker Volkswagen first released information about the 2014 Polo hatchback facelift, following up the information with an official unveil of the car at the 2014 Geneva Motor Show. The most important mechanical changes on the 2014 Polo include the addition of the 1 liter TSI turbo petrol and 1.4 liter TDI turbo diesel engines, both of them featuring a triple cylinder layout. The 1.4 TDI motor also gained a 6 speed dual clutch DSG automatic gearbox option. Volkswagen India plans to launch the facelifted Polo in India sometime in the middle of this year while the Vento will see a minor refresh later this year with a major revamp due next year. Even as facelifted 2014 Polo hatchbacks have begun the test runs in India, the rumour mill is agog with a speculation that the 1.5 liter TDI turbo diesel engine option will be offered on the next-generation Polo and revamped Vento car models. The 1.5 liter-4 cylinder TDI diesel engine is said to be a downsized unit of the 1.6 liter TDI motor, an engine that presently powers the Vento and the Polo GT models. Interestingly, the rumours go on to assert that Volkswagen is downsizing the 1.6 liter TDI motor for a 1.5 liter displacement in order to qualify for a lower rate of excise in case of the Polo hatchback and the rumoured sub-4 meter Vento compact sedan. 1. Volkswagen has steered clear from engineering cars suited only with a single market in mind. The automaking giant is known for its far sighted approach towards car making, and this is evident in the extensive platform and parts sharing exercise among Volkswagen group cars, centered around the MQB platform. India, as a standalone market isn’t large enough for Volkswagen to develop a specific turbo diesel engine. Volumes of the Polo and Vento account for less than 100,000 units a year from India and this includes petrol powered versions too. 2. 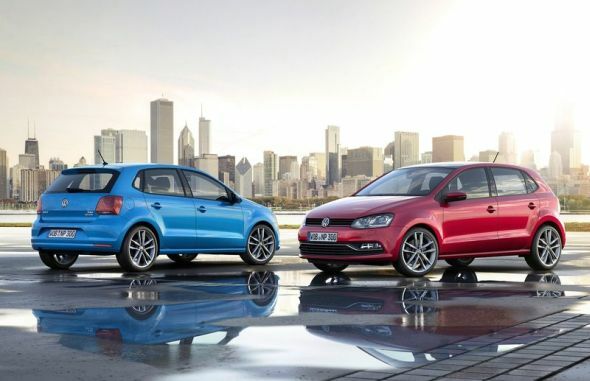 Volkswagen has introduced the 1.4 liter-3 cylinder TDI turbo diesel motor on the 2014 Polo Facelift. This engine is available in 75 PS, 90 PS and 105 PS states of tune, replacing both the 1.2 liter-3 cylinder and 1.6 liter-4 cylinder TDI motors. 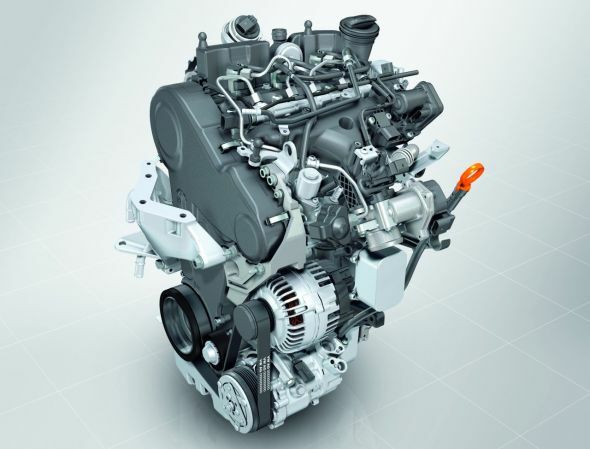 Being a triple cylinder engine engineered for low NVH levels, this engine seems to be the future of upcoming, diesel powered Volkswagen compact cars. Also, a 3 cylinder engine is more efficient than a 4 potter, another reason for Volkswagen to persist with the 1.4 liter TDI turbo diesel motor. 3. The 1.4 liter TDI motor is MQB compliant. With the 2015 Polo and next-gen Vento all set to hop onto the MQB platform, the newly developed diesel engine is clearly built with a longer game plan in mind. Taking the aforementioned points into consideration, it’s easy to see why Volkswagen might not too keen to develop the rumoured 1.5 liter-4 cylinder TDI diesel engine for India.